Branding may seem like it doesn't really apply to schools, but your school branding is all part of your school image and how people perceive your school. We can help you with all your branding needs, including school logo design, stationery and any other graphic design requirements. 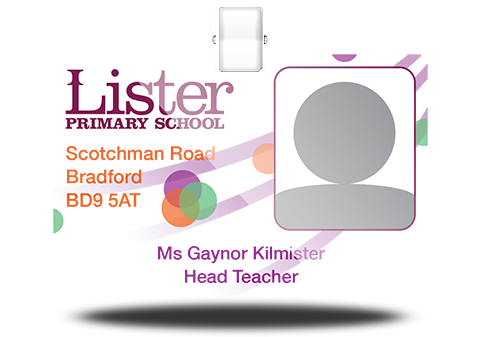 Your visual identity sends out important messages to your local community, parents and local authorities and will play a huge part in how your school is judged and perceived to be performing. Having an effective strong brand, consistent across all your marketing materials will inspire confidence in your parents and if up-to-date should emulate your school's aims and values. Your school logo appears on all your marketing and will be one of the most recognised logos in your local area. We will get to know your school and identify what you would like to portray before we undertake the design process to ensure it identifies your school correctly. Consistency is key across all your marketing. 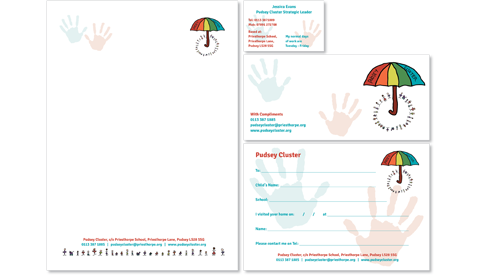 We can provide stationery design including, letter heads, business cards, ID card artwork, signage artwork and much more. Edusite can also provide branded Word Docs for you to use in school for your letters, newsletters and notices. Your branding should be applied consistently to all of your marketing and communication means. We can provide you with brand guidelines as part of your project so that future projects you may undertake are also consistent as people can see how your branding should be implemented.